Yet another storm is bearing down on the Midwest for the middle of this week. Accumulating snow appears very likely from Denver to Intentional Falls. Amounts could exceed 6"+ and over a foot just east of the Rocky Mountains, where some enhanced lift will be prevalent. 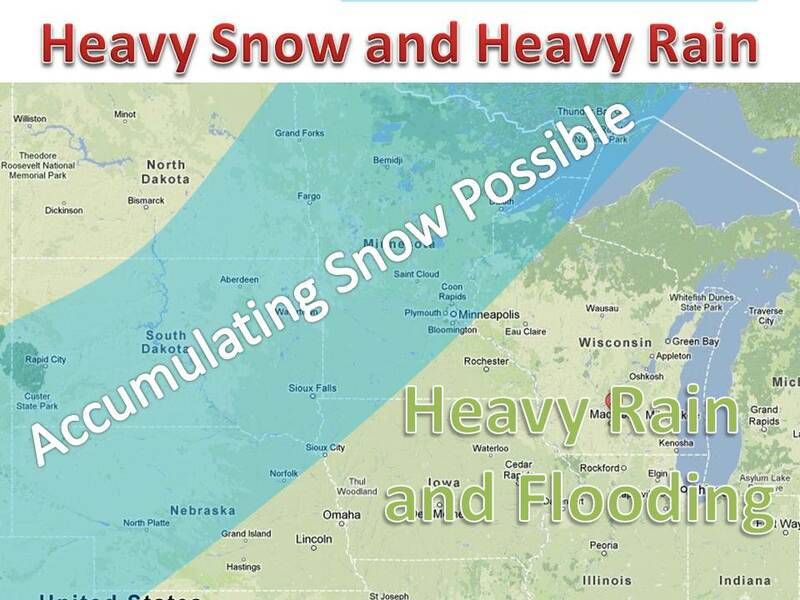 Meanwhile, heavy rain will worsen the flooding situation in Iowa, Wisconsin and Illinois. The exact track of the storm is still in question, but the strength looks to be set in stone. 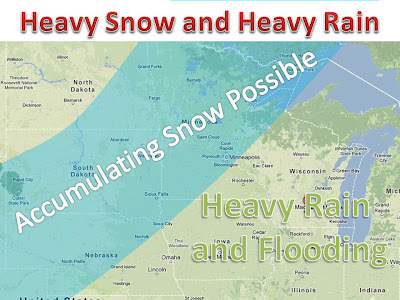 Meaning, the band of heavy snow could shift a little west or east in the coming days, stay tuned. Look for a snow maps soon.